Spinach is a vegetable which is having tons of nutritious benefits. Superfood for everyone specially for kids and women- because of its mineral contains like iron and folate. Palak Paneer is very popular North Indian dish made up of thick purée of Spinach and paneer, seasoned with Indian spices. It is very delicious curry but the problem is if you are eating it for getting health benefits from spinach then you are eating it wrong way. What you eat and how you eat it is very important to get optimum nutrition from the food. Spinach contains good amount of iron and paneer is full of calcium and they are enemies. I mean when there is a presence of calcium iron won’t absorb in your body and you would not see any difference in your hemoglobin level. We eat iron rich food for increasing our hemoglobin level and for that you need vitamin C. Iron and Vitamin C both are very good friends so they love each others company and absorption of Iron will happen with vitamin C. Now lots of science part here hope you got the concept. If you want to learn more about spinach then check this link. Have it with your favorite carbs and a glass of lemon water instead of chhas (savory lassi, yogurt) and you will blush, I mean love it. 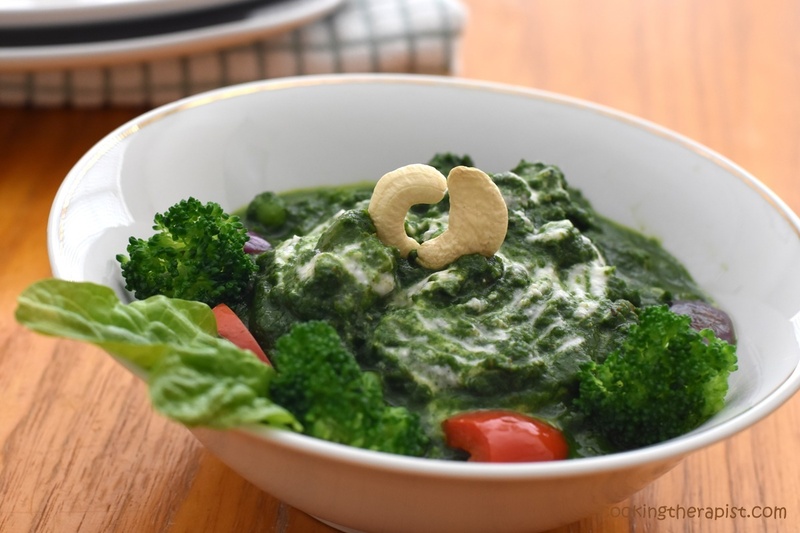 I will share my daughter’s favorite and quickest of all recipe of palak paneer without paneer just plain spinach puree with lots of butter and seasoned with spices. That might become your todd’s favorite green too so stay tuned! 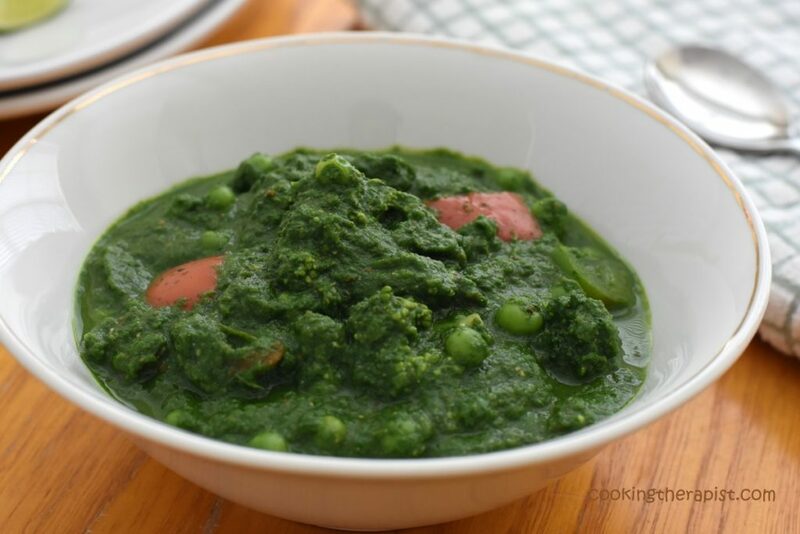 Mixed vegetable cooked in spinach based gravy flavored with Indian spices. First of all rinse the spinach leaves well in water and then keep them in a colander. if the stems are tender,then keep them. but if they are hard or fibrous, then discard them. for 3 minutes. After 3 minutes, remove the spinach leaves and add them to the cold water. After 1 minute remove them. Grind or blend to a smooth purée. No need to add any water while grinding or blending. For stir frying vegetables, heat oil in a well seasoned or nonstick pan. Sauté onions, bell peppers, blanched broccoli and boiled peas for 3-4 mins. Season it with little salt and garam masala. For making gravy or sauce, add some oil and butter to the pan, add bay leaf. Then add pureed onion and ginger-garlicpaste. Saute the onion paste till they turn light brown. Add salt as required and spices. Saute it and add spinach puree and green chili paste. Mix everything well. minutes or till it thickens slightly and the spinach is cooked well. Add lemon juice and mix well just before serving. Serve it with naan, roti, parathas or your choice of carbs. According to my research if you make it with tofu or chickpeas (chana) you won’t get optimum nutrition too, rather than those ingredients you can make it with your choice and availability of mix veggies or you can make aloo palak (potato spinach curry) too. 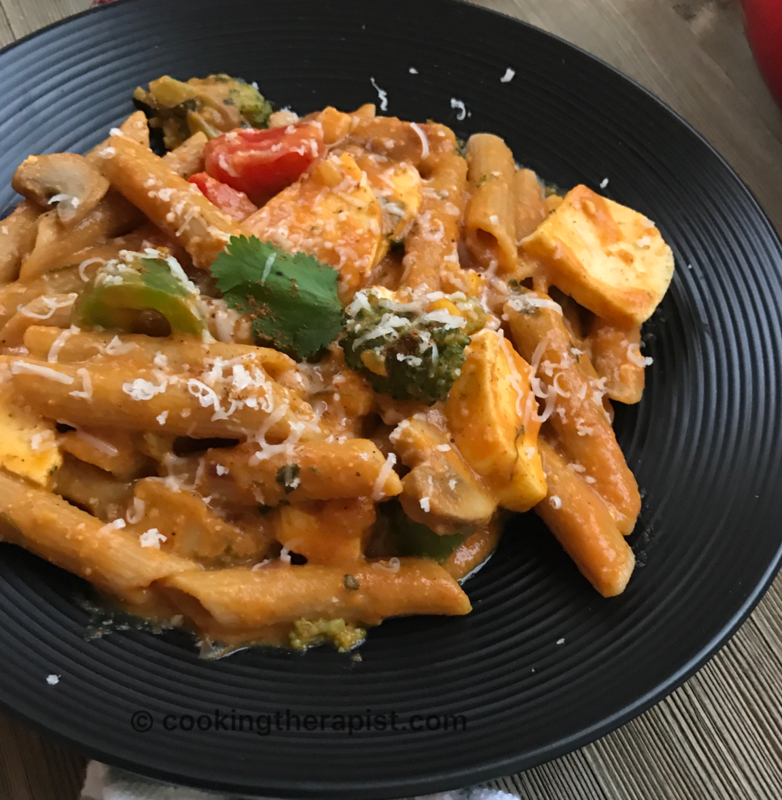 Do try this recipe, I would love to hear from you. Do not forget to share and help others.